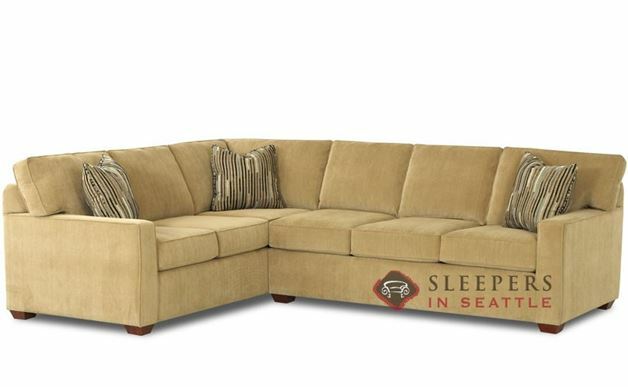 Clean lines and modern style describe the Waltham True Sectional Full Sleeper Sofa. Welted track arms contain the seats in crisp format. A front border split into three sections accentuates symmetrical beauty, as the welted borders offer a fine finishing touch. Great find. Just a nice classy sectional at a nice classy price. Just put ours in the basement in front of our entertainment system. Makes the whole TV watching experience that much more enjoyable. Maybe a little too enjoyable. We'll see if my kids brains continue to rot. 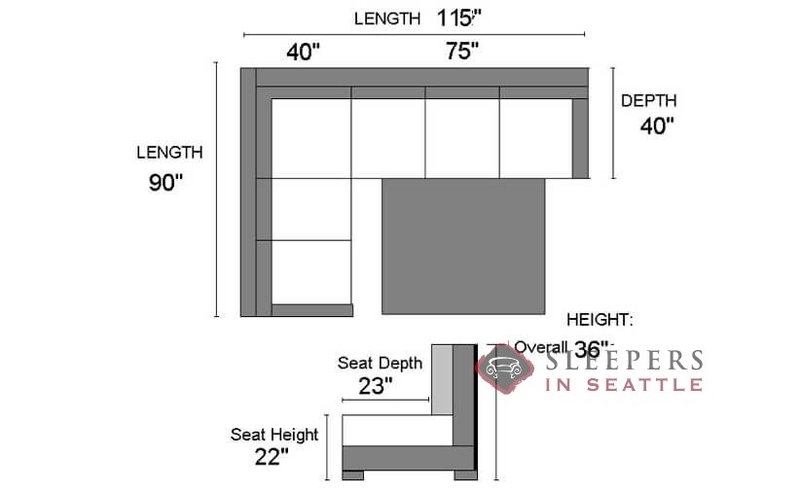 Does this sectional have fully padded sides and back? What is the minimum door width opening necessary for delivery? Do you have details on frame construction and assembly methods (blocked corners, etc.)? Thank you. The sides and backs are indeed padded, ensuring the upholstery is not directly against the frame. 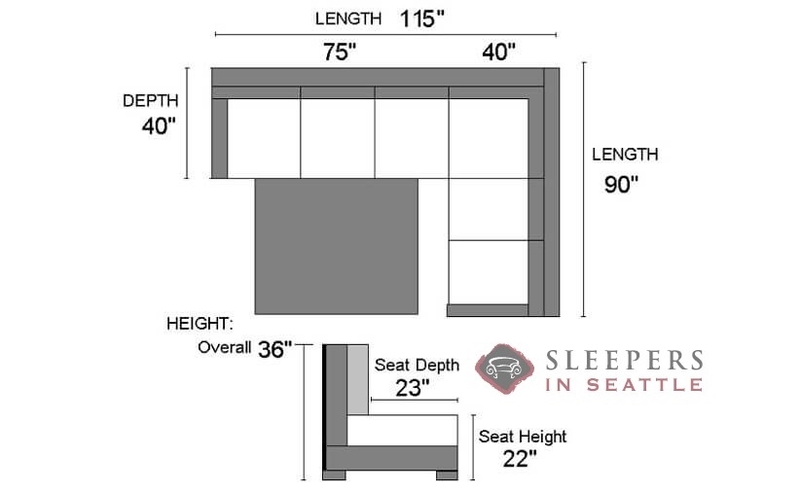 Not counting the back cushions and feet, we recommended a door width of about 30" for this model. All Savvy products are built entirely in the US, using precision cutting routers to match exact dimensions. Pieces are indeed individually cut and placed together, similar to a puzzle. The seat depth on the Waltham is approximately 23". Are there leather options? If so what price range. I was struggling with this info on web site. Yes, absolutely! The leather version of this product is available here!